At Pear Communications, we strive at being able to specifically target any market you choose. When it comes to the family market, we have many different way of activating marketing campaigns to target families. Our team at Pear have years of experience in executing sampling campaigns to test, promote products and gain feedback for our clients. We carried out a sampling campaign for Disney where our team went to Soft Play Centres to promote Disney’s ‘Vampirina’ colouring book. We interacted with children of all ages to get their opinions on the colouring book. We then sent a detailed report to Disney. This is a great way to target the family market as our clients can receive real-life comments from their target audience. We regularly activate targeted campaigns within specific areas chosen by our clients. We conduct an ultra-local blanket run where we place leaflets in every single premise within the target area that their target audience visit. For example, we recently worked on a campaign for Churchill Theatre where we targeted the Family Market in Bromley by placing leaflets promoting ‘Bing Live’ on Saturday 13th & Sunday 14th April. Leaflets were placed in Play Centres, Cafés, Restaurants, Supermarkets, Train Stations and many, many more sites! Ultra-Local Blankets are very successful because you can guarantee your leaflets being in the eyes of your target audience and we regularly receive a high pick up rate. Activating Hand-2-Hand campaigns target the Family Market perfectly. 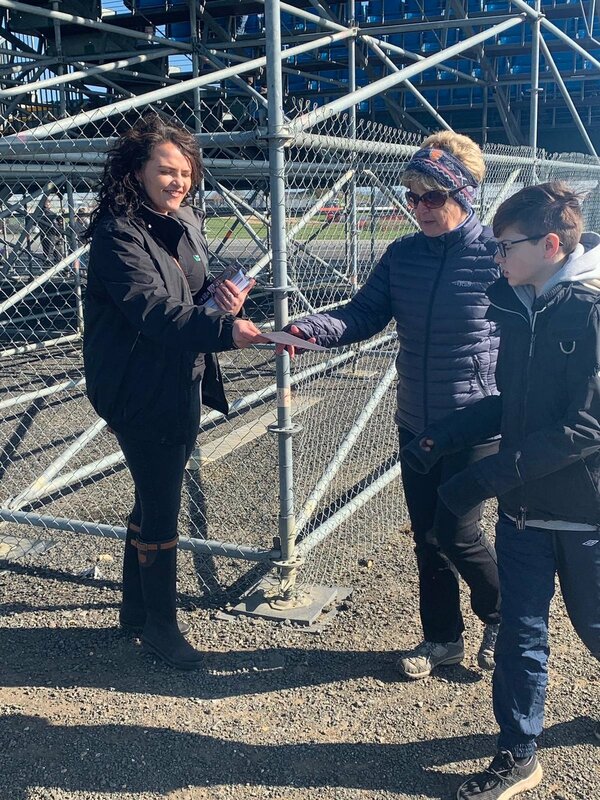 All you need to do is pick an event or location you want our promo team to attend and we will be outside handing out your leaflets and interacting with your potential clients. Hand-2-Hand is a great way to target the family market because leaflets are being handed directly into their hands. You get to choose exactly where our promo staff are located. For example, they could be located outside an event similar to one you’re promoting, at an attraction like yours, where the audience will most likely be similar or at a busy City Centre. We all know that Children aren’t always the best at remembering to pick up a leaflet or losing it before they get home….That’s why we do the job for them! We can arrange for your leaflets to be put directly into Children’s school bags to guarantee your print makes it home. Utilising our UK school network gives you access to the whole school network including Pupils & Teachers. This is the perfect way to target the Family Market because your leaflets will be in Children’s school bags ready to be opened by parents. If you don’t want to miss out on targeting the family market, get in touch today! Call 0203 876 4268 or email ml@pearcommunications.co.uk for more information. It is time to start thinking about School Packs again for the Midlands - Hit the Back to School and book in your campaign now! Our new school packs dates are now available for those of you who are keen to to encourage school trips. Please contact us for more information. We are distributing School Packs again throughout the Midlands. These are fronted by Rays Farm and their 2016 FREE Child Ticket offer. Fantastic value and hoping for a fantastic response from school children in the region! We are very proud to be working with the City of Birmingham Symphony Orchestra sending out School Packs on their Family Concerts - Music for Your Little Monsters, across Birmingham. School Packs are going out in the month of May for the Summer Half Term. If you would like to be part of the pack, we need your leaflets to be with us by the 16th May.